Hand washing and sanitizing may come as second nature to most hospital staff, but for visitors and volunteers it might not be so easy to remember. 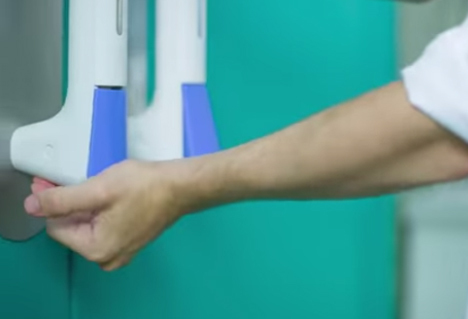 PullClean is a smart redesign of the pull door handle that incorporates a hand sanitizer dispenser. 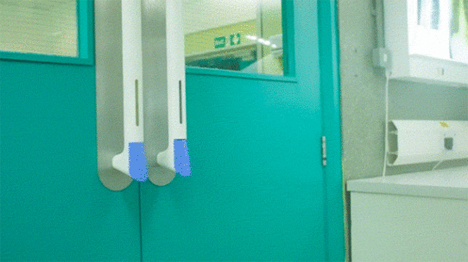 The built-in hand sanitizer reminds everyone going through the doorway that keeping their hands germ-free is important in a hospital setting. It’s simple to operate: just press the bottom of the door handle to dispense a small amount of sanitizer. Door handles are known to be bacterial hotspots, so it makes perfect sense to put hand sanitizers there. 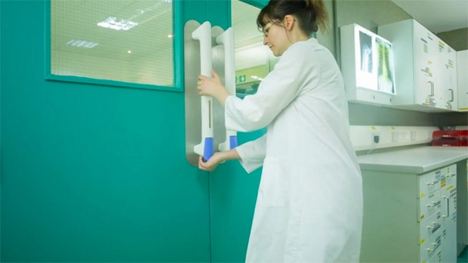 Every time you go through a doorway, you’re prompted to sanitize your hands, keeping you and everyone around you safe from germs. When the sanitizer dispenser is empty, it is easily replaced with a key, just like a public restroom soap dispenser. The PullClean includes software that tracks sanitizing rates by hour, day, or week. It tells you the amount of sanitizer left and when the cartridge should be changed.